PWRD, FSEC and TCAN files. hopefully, subsequent version will allow PCBSM to do the work itself. external text editor to accomplish the same thing. nodes come back up until you finish (even if you forget to wait). and D indexes (note that PCBoard indexes on the first name). users file there is an UNDO option right on the menu! experiences a problem, please let us know. by PCBSM. That's all there is to it! MODE CO80 will at the DOS prompt will bring you back into color mode. better than if I try to explain it here. have to remember my poor taste in colors again! The Users File Editor has two screens, a Short Form and a Long Form. to give you full access to each user's current values. Forms simply press the F2 function key. the public conference string filled in). requires the name be spelled correctly. [Alt-L] = Search for a specific Security Level. [Alt-E] = Search for a specific Expired Security Level. [Alt-O] = Search for a Deleted User (Delete Flag is ON). [Alt-R] = Repeat the last Alt-F, Alt-S, Alt-L, Alt-E or Alt-O. [Alt-T] = Jump to the Top Record (record number 1). [Alt-B] = Jump to the Bottom Record (last record in the file). [Alt-P] = Print the Current Record on the Printer. [Alt-D] = Delete User. Change his Delete Flag status to YES. record if already at the last. record if already at the first. [Ctrl-PgDn] = Move forward 20 records. [Ctrl-PgUp] = Move backward 20 records. record and it is at the bottom when you are at the last record. 1) All of the sorts by Name are done in Last Name, First Name order. opposite is true if you sort in reverse order). you need to PACK the users file by selecting "Pack the Users File"
from the Users File Maintenance Menu. Delete all records that have the Delete Flag set to YES. Delete all records where the security level is 0.
can get rid of all new users who have called back in a months time. older than a specified date. than or equal to a specified number. will help those "manic" audit trailers. running by pressing the ESC key. deleted (the whole record is printed). current record on the screen to the printer. about any group of records you like. can be used very effectively with Option C report format below. 10 records per page using this option. Beginning with version 12.0 of PCBoard the users file is now indexed. Name, First Name approach merely for speed and simplicity. Initially we played around with having only one user index file. during the adding of a new user. there is not an even distribution in first letters in first names. But, for the most part it works and works well! do not require the use of this feature. NOTE: if you used version 1.0 of PCBSM you should read Appendix C.
Change users whose security is EQUAL TO or GREATER THAN? and whose security level is EQUAL TO or LESS THAN? To a new security level of? 35 to a new security level of 30. 1) Negative numbers mean a ratio of Downloads to Uploads. 2) Positive numbers mean a ratio of Uploads to Downloads. 3) All numbers are multiplied by ten. having their security levels adjusted. listed for creating a table of ratios. see if their registration has expired (based on the current date). that of the Expired Security Level as recorded in the user's record. Expiration date in the user's record. effect on the user's access to your system. using security levels the same as the above. standard format the sort by phone number option is meaningless. suspect that your users file is corrupted? been distributed with PCBoard called PCBFiler. know we're working on that one too!). one should be easy to handle since they are very similar in style. file (possibly to handle more than one node). Allowed on System and Maximum K-bytes downloadable per day. since his limit of 0 bytes has already been reached. during that 30 minutes up to a maximum of 100k total in bytes. and could download up to 9,999K bytes (the maximum allowable). one Download Security file (possibly to handle more than one node). Lotus worksheet files found in the C:\PCB\DL20 directory. found on the D: drive no matter what directory it is found in. one Upload Security file (possibly to handle more than one node). with the exceptions that follow in the next examples. files with an extension of .PIC. the password "SPECIAL" in order to upload a file called USERS. files into the sysops upload directory. in the Trash Can file they will not be allowed onto the system. board that you don't like then add it to your Trash Can. Listing (possibly to handle more than one node). The file consists of three fields, Name, Security and Password. feature (defined in PCBSetup) would be able to access Door #1.
archive viewer, file transfer door). 3) A user with a security level of 45 would be able to play CHESS. "SPECIAL" would be able to access a special door called PROCESS. Protocol Listing (possibly to handle more than one node). not putting that protocol in the Protocol Listing. represent an external Shell protocol. being used (see PCBoard documentation for more information). from inside batch files for ease of use or for unattended operation. [Esc] = Pressing [Esc] always exits to the previous screen. changes made within the current input field. to the left one character. to the right one character. [Ins] = Toggle between Insert and Type Over modes. [Del] = Deletes the character where the cursor is located. place the cursor at the bottom of the screen. place the cursor at the top of the screen. move to the top of the file. will move to the bottom of the file. input field from the cursor to the end. 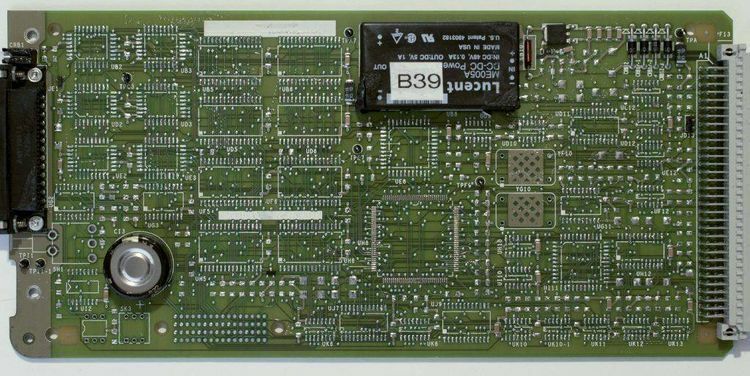 external module that PCBSM calls to perform its diagnostics). output to a file called OUTPUT in your default directory). analysis again and answer YES to both of the questions for printout. you called it) and give a description of the problem you are having. - Analysis of hard disk size, free space, bytes per sector, etc. verify the existence of batch files for all external protocols. 30 | to be necessary. line, or ALT-D to delete one.